Melting snow and rushing streams. Birdsongs adding depth and lightness to morning walks. Earthy smells fill the air. First flowers, showing their green and gold. The seasonal transition is calling us out of our inner winter focus as the YDC is coming to an end and seeds have already been started for the garden. Spring is inviting us forward. Do you know someone who makes the most delightful vegan/vegetarian food? Someone who can plan balanced nutritious meals? Someone with strong communication skills to coordinate with ashram and garden management; strong teaching skills to guide paid and volunteer assistants; strong organizational skills to manage budget, inventory and ordering? We’ve found that people with experience cooking for tree-planting camps are an excellent fit. We’re looking for our new full-time chef to start this May. Options are available for a summer contract, or a more permanent year round position. In April Swami Radhananda will be inspiring people in Ottawa, Montreal and Toronto with readings and workshops. Later this summer, she will be offering a five day course at the Ashram called Living the Practice. “It’s been such a rich experience being here during the YDC and supporting the work as a Karma Yogi.” Says Joanne Bellanger, the Centre Director of Radha Yoga Center in Cranbrook BC. 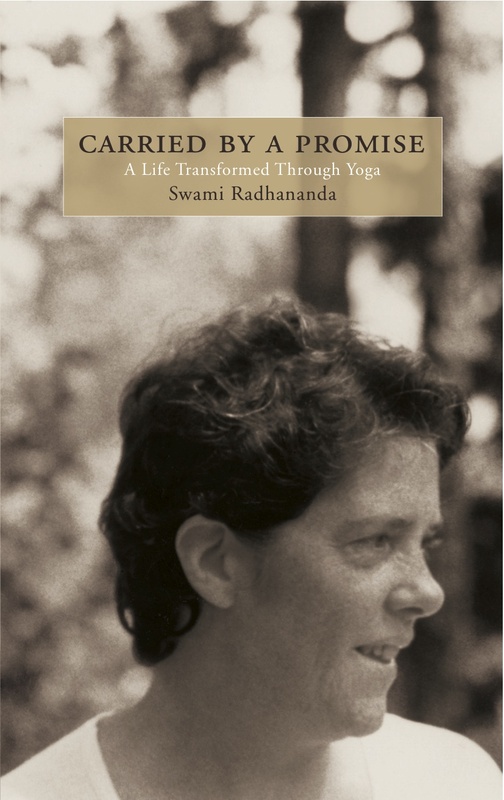 Radha’s Story: A Biography of Swami Sivananda Radha. The long awaited DVD release! In the Company of the Wise: A Disciple’s Journey. After being out of print for many years, this book is now redesigned and waiting to be rediscovered. And, a new centennial edition of Radha: Diary of a Woman’s Search, Swami Radha’s classic memoir of her time in India. Watch www.timeless.org for these titles as they are released throughout 2011. Part of this process has been deciding to let Lightwaves rest for a while. We know people want to stay in touch with Ashram news, so keep your eyes open for changes to this newsletter. I rest in Creek Cabin. All is quieted by the sound of the stream flowing to the North. To the West, across Kootenay Lake are the mountains beyond Balfour. I feel alone in these woods, yet the Light of the Ashram surrounds me. There is room here to breathe, take space and be quiet. Built in the ‘60’s, Creek Cabin was recently renovated with the addition of a new bathroom. It is now available as a comfortable contained guest room, whose view and location will inspire you. It seems most fitting that as the YDCers deconstruct themselves, we started deconstructing Parvati this month. In parallel processes, we’re pulling back the walls and ceiling, looking at what’s inside and rethinking the space. Several other projects have been recently completed around the Ashram: a renovated archives room, a deck on Many Mansions and a new heating system in the Library. Things not readily apparent to most visitors include mapping of the Ashram’s underground utilities and a progress report on our carbon neutral program. This month’s newsletter from Yasodhara Ashram contains updates from the Ashram and the global Radha Yoga community, as well as upcoming courses, news, events and more. If you didn’t see it in your mail box this month, and want to stay connected, we invite you to subscribe now! If you are already subscribed, you can skip over this post and stay tuned for next month’s newsletter.